A corticosteroid can improve the healing of damaged tendons, but it must be given at the right time, according to a new study from Linköping University in Sweden. In rats, the tendon became twice as strong. The results are presented in the journal Scientific Reports. “It’s well-known that corticosteroids inhibit healing, but we show that it can actually have a strong positive effect on the healing of tendons. The timing is crucial,” says Per Aspenberg, professor emeritus in the Department of Clinical and Experimental Medicine at Linköping University, Sweden. Inflammation plays an important role in the healing of a damaged tendon. During the initial phase, a relatively aggressive inflammation response occurs, and several types of cell from the immune system are attracted to the wound. The area becomes swollen and painful. The inflammation changes its nature after a while and signals to the body that it’s time to build new tissue to repair the damage. Previous research has shown that anti-inflammatory drugs, such as the corticosteroid dexamethasone, have negative effects on healing. The researchers behind the new study were particularly interested in the timing of the transition from destructive inflammation to constructive, healing inflammation. When the formation of new tendon tissue has started, the inflammation should disappear. The researchers suspected that inflammation may still be present, and disturbs the formation of new tissue. For this reason, they wanted to see what happens when the corticosteroid is given at the right time. A ruptured Achilles tendon can be thought of as a rope that has been torn through. The strength of the rope depends on its thickness and the quality of the material it’s made from. When the researchers delayed the start of corticosteroid treatment until the rebuilding phase had begun, they found that the quality of the collagen fibres in the tendon after healing was higher. “When dexamethasone was given during the rebuilding phase, the tissue in the healed Achilles tendon was more than twice as strong as it was in untreated controls,” says Parmis Blomgran, PhD student and principal author of the article. “We were very surprised by how strong the positive effect was. The difference between tendons treated by dexamethasone and untreated tendons was so clear that it could be seen by the naked eye, and it became even more clear in the microscope,” says Per Aspenberg. As the tendon heals, the collagen fibres are initially laid down in a rather disorganised manner, in large quantities. The tissue must then mature, as the fibres are organised into bundles that run parallel to each other, in the same direction. “This maturation process is hindered by the inflammation. It’s clear that it occurs more rapidly when a corticosteroid removed any remaining inflammation,” says Per Aspenberg. 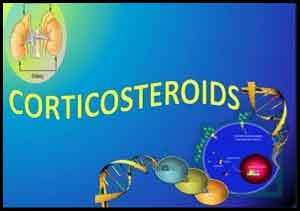 It is, however, too early to say whether corticosteroids have the same effect in humans. Per Aspenberg believes that the results from this study in rats may be relevant also for humans, but this must be investigated first in studies on larger animals and subsequently in a clinical trial. “The effect of correctly timed corticosteroid treatment is so dramatic that it truly deserves to be further developed, with the goal of clinical use for orthopaedic injuries,” says Per Aspenberg.